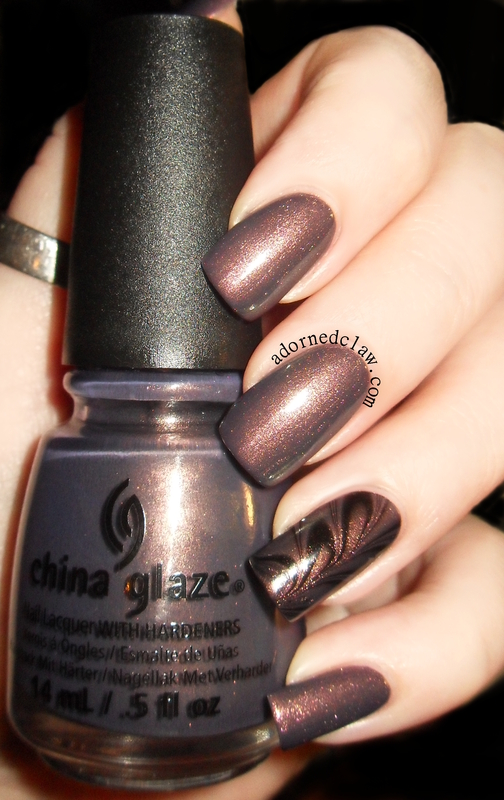 China Glaze – All Aboard and Choo-Choo Choose You! 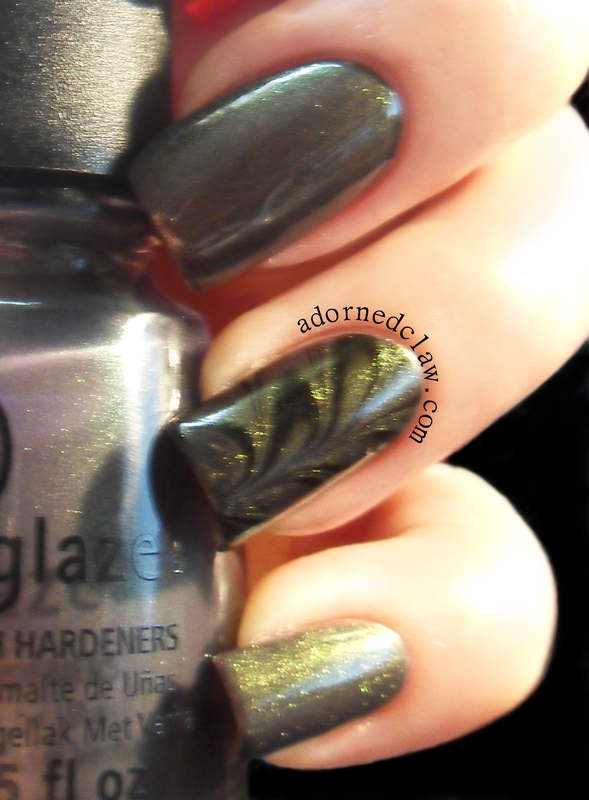 Today I have two polishes to show you from the China Glaze All Aboard Collection! 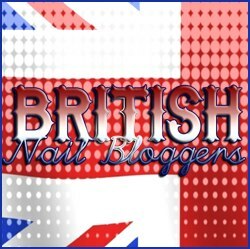 These have been kindly supplied to me for review from nailpolish.co.uk! 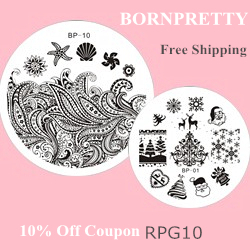 They have also given me a rather lovely 10% discount code to share with you! 🙂 and you can find that at the end of this post! The first polish is All Aboard. This is a mid purple cream with a grey/blue undertone. This is a really lovely autumnal purple shade. I found the formula to be slightly thin but it was very easy to apply, dried quickly and took 3 coats to be opaque. I really like this colour and I couldn’t resist a little accent nail! Oh and it water marbles really nicely too! One thing I did find a little annoying is that when painted over O.P.I natural nail base coat it bubbled like crazy, But when I applied it over my usual Collection Ridge filling base coat it was absolutely fine. This is three coats of All Aboard over Collection ridge filling base coat, with no topcoat. This polish is called Choo-Choo Choose You. 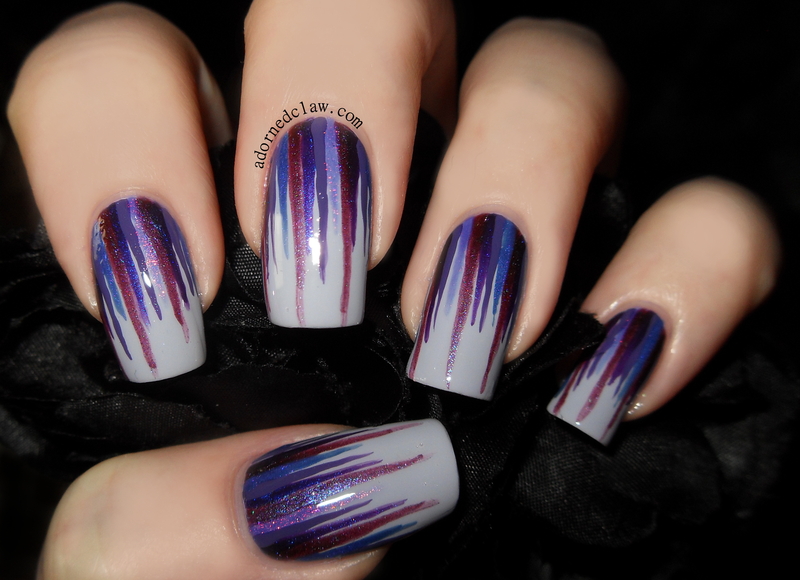 This is a really pretty purple grey duo-chrome shimmer. The application was really easy, the polish flows really nicely from the brush. I did find the polish was a little patchy on the first couple of coats but is fully opaque in three. This is three coats of Choo-Choo- Choose You over O.P.I Natural Nail base coat. It really was a pain to show the colour shift in this polish but after some hand yoga and some creative camera placement I managed to get a rather rubbish picture lol! 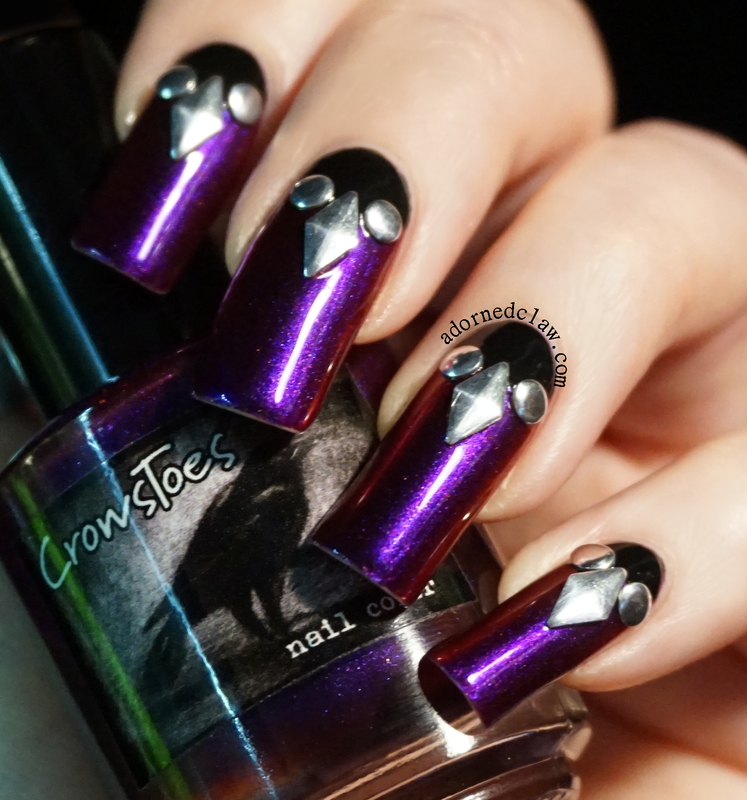 This is favorite from these two polishes, it really is lovely! 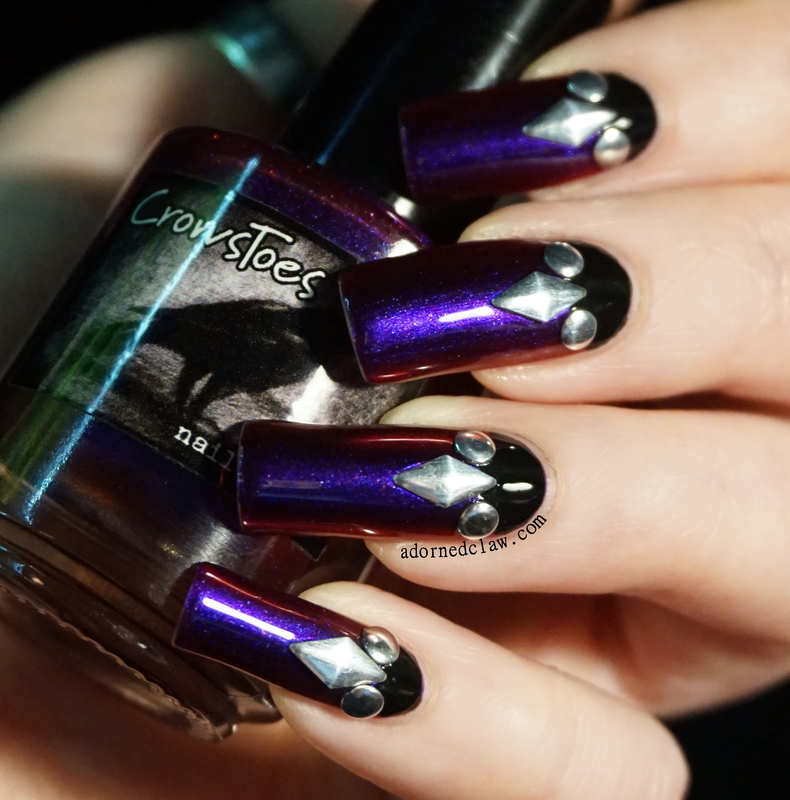 The discount code is “CLAW” which gives 10% off all orders until 31st March 2015. I started with a base of two coats of Mauve from Sinful colors, then I added the other purple colored polishes with a thin nail art brush. 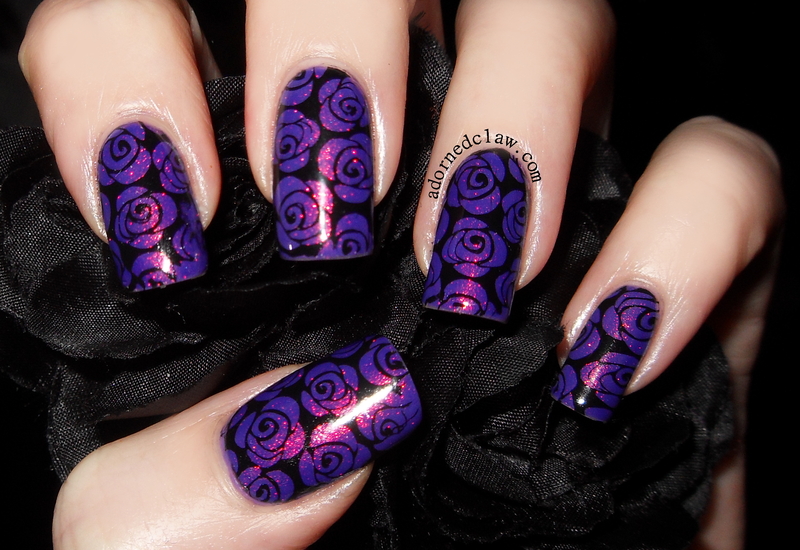 Fantasy Fire Roses For My 100th Post! This is my 100th post 😀 Yay! So today I have a Polish to show you that I keep meaning to get my grubby paws on and haven’t, until yesterday! 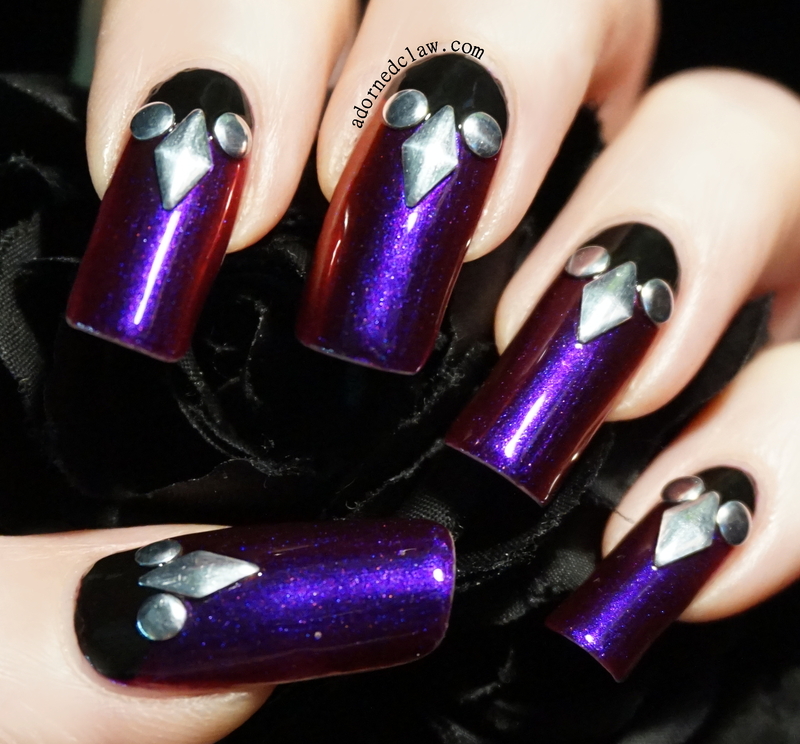 That polish is Fantasy Fire from Max Factor! It really is a stunning polish! 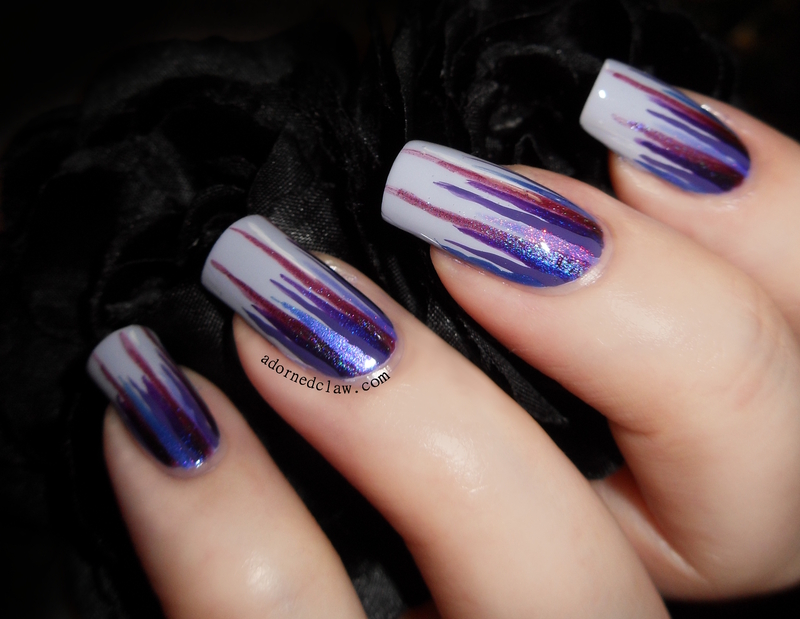 it’s a mid shade purple gelly with loads of Duo-chrome micro glitter. Jess Nail Polish Swatches! Atomic, Dancing Queen and Pixie. This is a really nice and my favorite of the three. 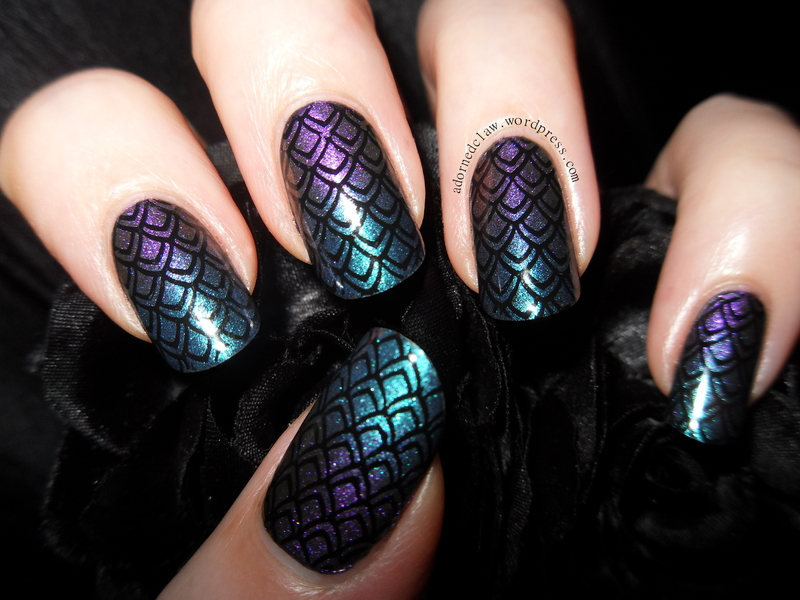 The colour is a dark teal iridescent with a gold flash. The application was easy, the formula is actually really nice, if a little thin, it does smell of cheap nail polish, (probably because it is lol) it’s very chemical. But it’s really not bad for £1. This is two coats with no base coat or top coat. 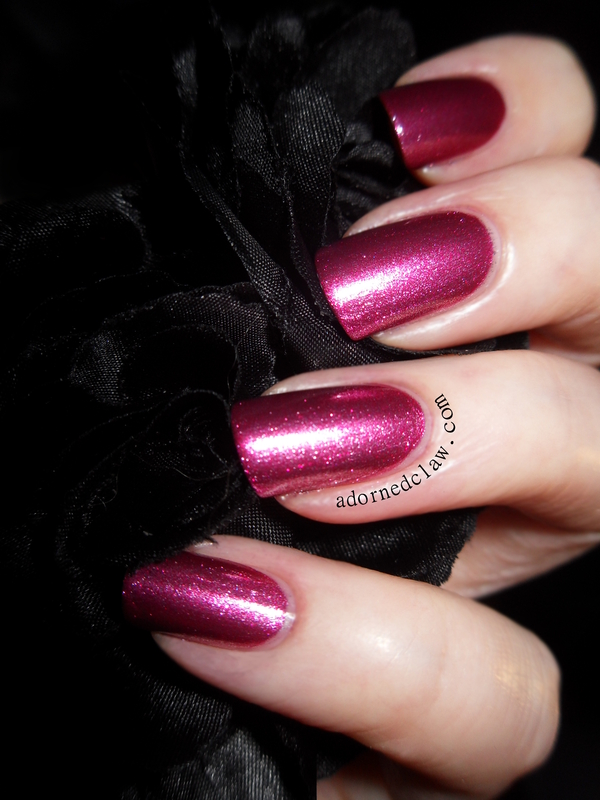 Dancing Queen is a pink foil polish, again it has a very chemical smell, the application was ok, there was a little dragging from the second coat and there are some visible brush strokes, it’s a very bright pink colour, it’s worth £1 but I wouldn’t spend any more than that on it. This was three coats with no top or base coat. In the bottle this polish looked really pretty, purple to green duo-chrome, on application unfortunately it was rubbish, there’s hardly any pigment in this polish at all 😦 I first tried without undies first but I think it would have taken 6 coats to reach a decent amount of colour! so here it is, two coats over Revlon Black Magic. It went blue! And hardly any sign of the duo-chrome finish, and it had the same chemical smell as the others 😦 Is it worth £1? No, which is a shame as I love a good duo-chrome polish, and a nice one for £1 I would probably buy all of them! lol! Out of these three I really like Pixie, it’s worth the £1 and the smell lol! 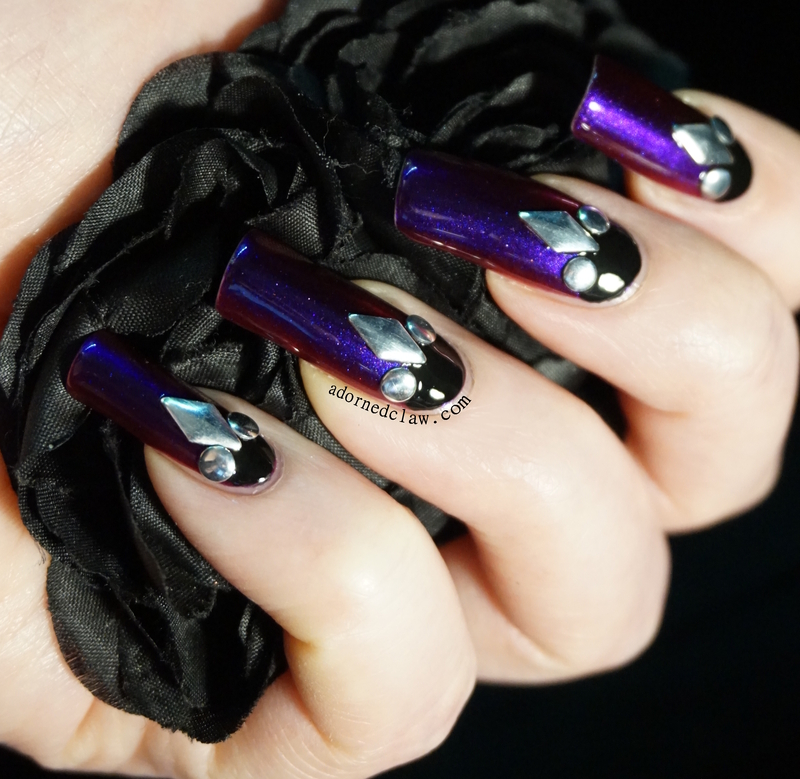 For the Gradient I used Tanzanite and Aquamarine both from the Chroma Chameleon collection by Revlon, I found the polishes are a bit on the thin side, so I applied the gradient over a coat of black polish to make the colours pop. 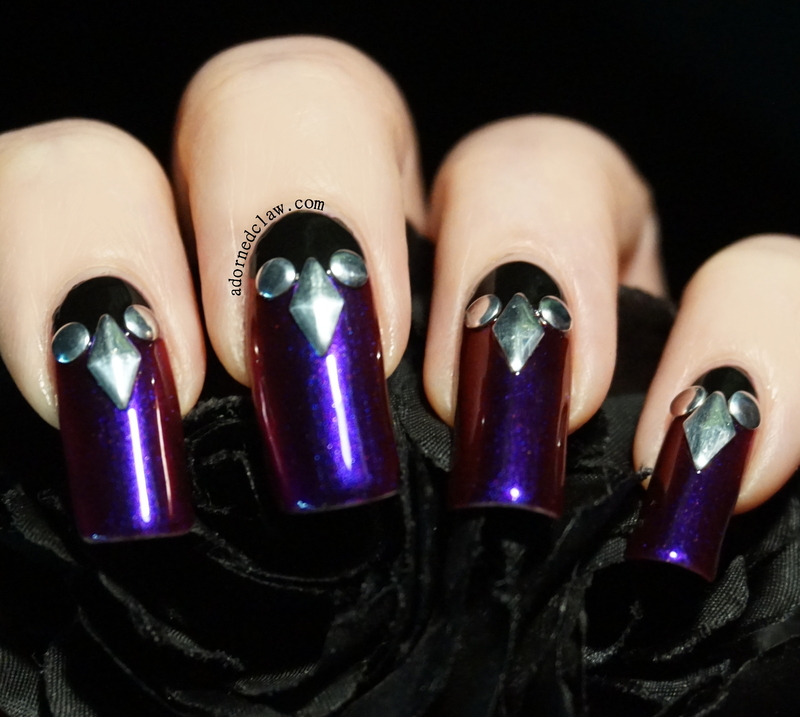 For the stamping I used Konad SP in black and finished it with a coat of Seche Vite!